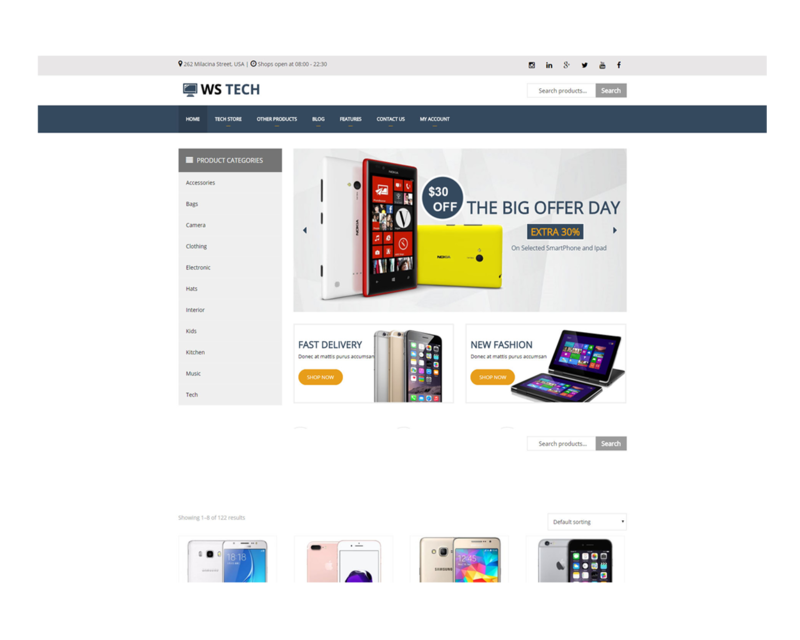 WS Tech is a Free Tech Store WordPress theme based on WooCommerce plugin that intended to Hi-tech Store websites. This is a modern and luxurious theme used to present the products and provide detailed information about its features, qualities and prices. Nowadays, more and more people want to go shopping online because of its convenience. 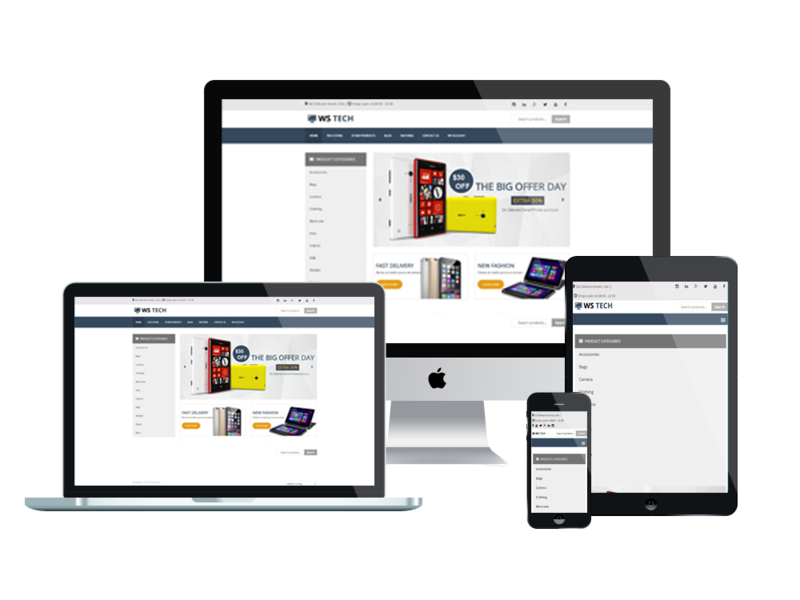 This theme has been re-designed to be suitable for showcasing and promoting hi-tech products or services as well as providing your customers with the best shopping experience. WS Tech has been arranged in an appropriate way to attract as much attention as possible from customers. High-resolution images and utility buttons are provided to bring the best view of product/ service. 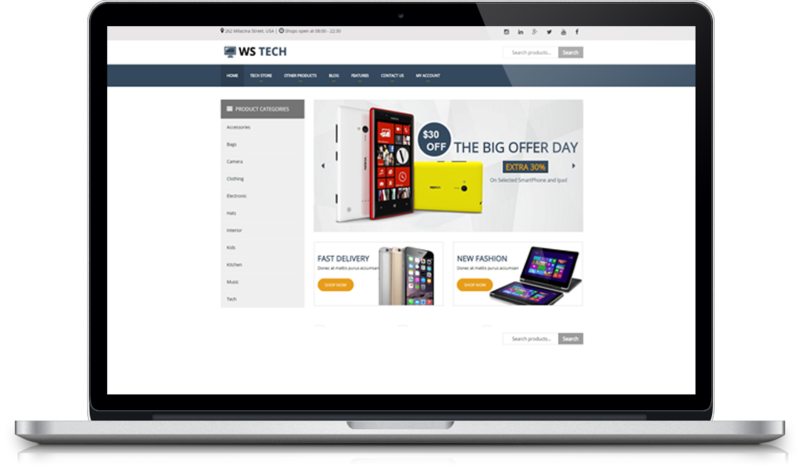 WS Tech is fully 100% responsive that adapts to the screen resolution of all mobile devices – smartphones, tablets and desktops. 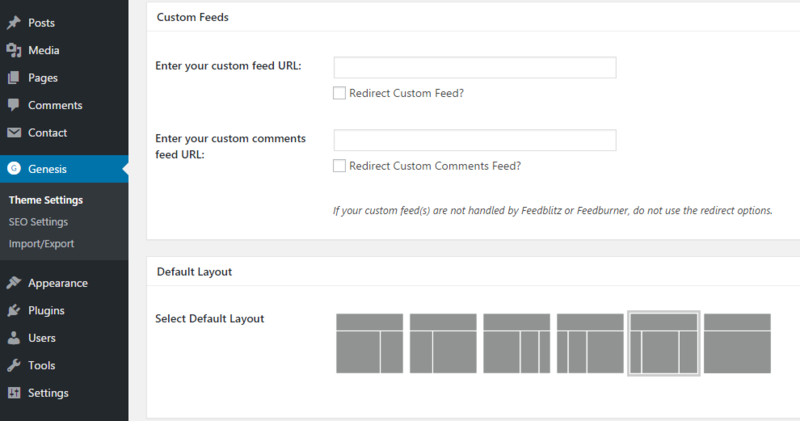 Especially, it comes with unlimited color and a color picker in the admin panel. 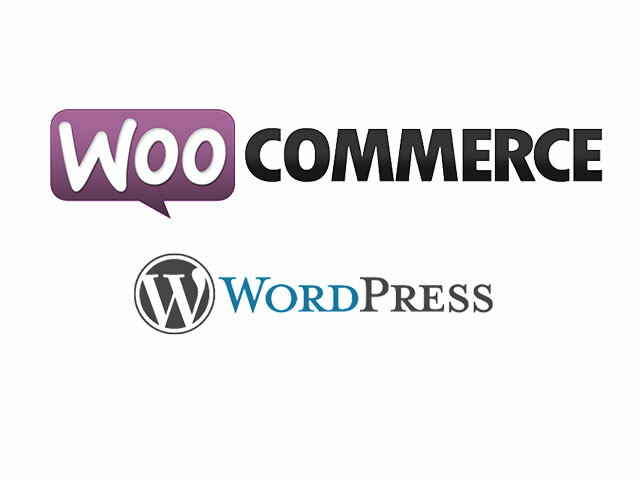 We also integrated payment methods for you that can be easier to use our site for your business. 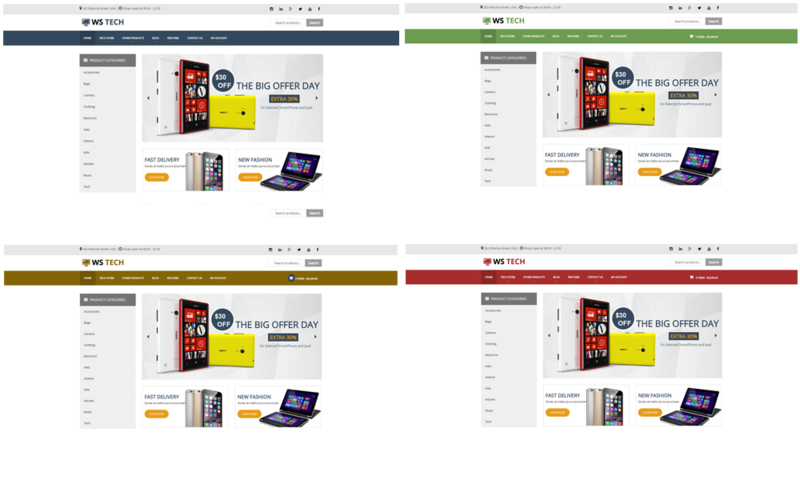 Compelling website will attract any kind of customers to your shop, let’s see Live Demo now!